I take my Makeup up bag every where I go! It’s always in my bag 💼. I keep only the basics. I apply and blend everything by hand..
🌝Primer: step 1 primer from mufe in black. It keeps me from getting oily. 🌞BB CREAM: I don’t use but its there always. Bought this travel size from Tarte. ⛅️Concealer: I can’t live with out…. I normally just use this Maybelline Age rewind in the shade Brightener and nothing else for the face. But not all over the face just under eyes, chin and nose. ✨Highlight: I keep this travel size benefit girl meets pearl. 🌷Blush: Dandelion blush from Benefit and a eco tool kabuki brush. 👀Eyes:Eyebrow gel from essence,Mascara from mac,smoky eye pencil in brown from essence,stila liquid eyeliner in black and Gosh cream eyeshadow stick in the shade 2. 👄Lips:Mac lipstick in the shade Mehr and lip pencil in Soar. 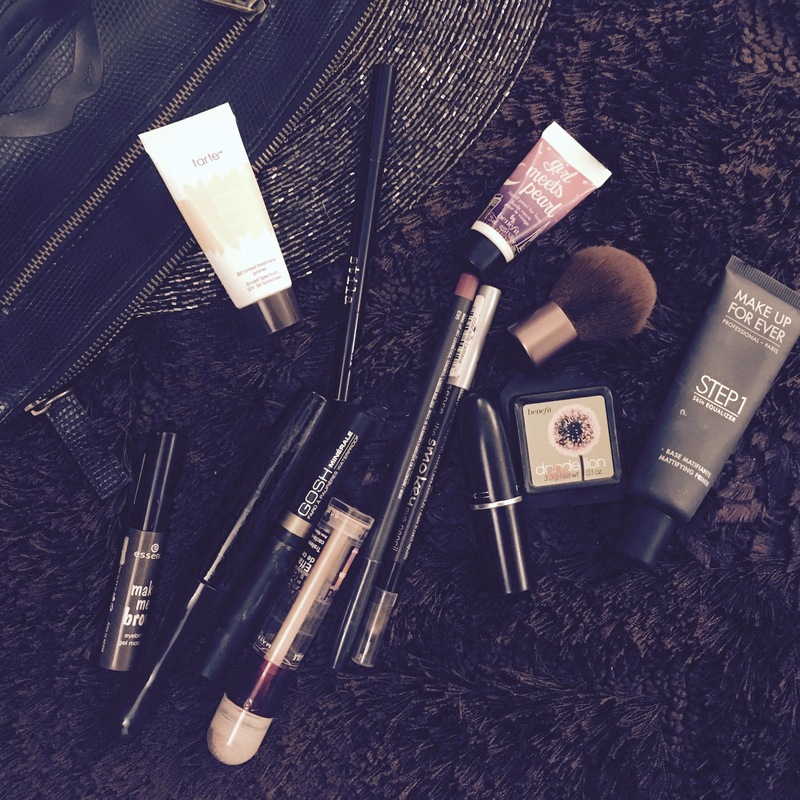 ✌️This is all what I rely on… I never pack anything else. 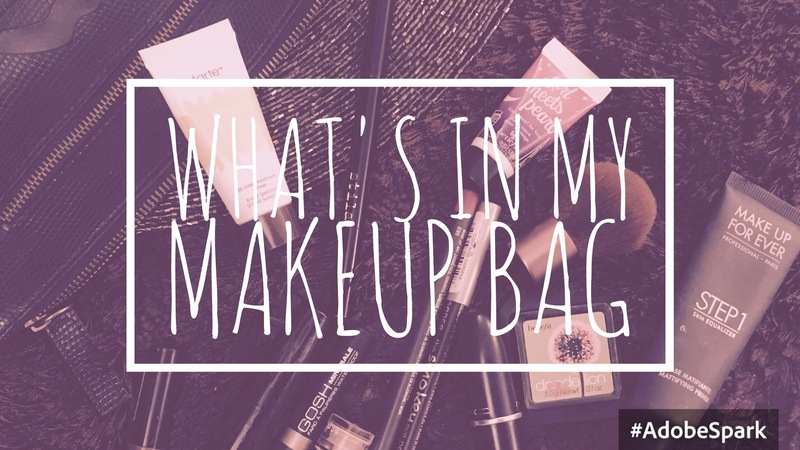 Tags: bag, beauty, blog, eyes, makeupCategories: What I like..
Samra your reviews on essence make me brow? Have been using it only!! Its so natural lookig and keeps hair at bay!! NextBrutal Review! 3.5⭐️⭐️⭐️✨- Huda beauty RoseGold Textured Eyeshadow palette.